Do You Need Hurricane Shutters for Your Home in Bradenton, FL? Are you trying to decide if it is necessary to install hurricane shutters on your home? Bradenton, FL offers pleasant weather for most of the year. But you need to ensure that you are prepared if a hurricane rolls through during the stormy season. It is hard to predict the severity of a season in advance, which is why you need to take a proactive approach to protect your home. If you live in a coastal area, such as Bradenton, FL, there is a possibility that a hurricane will come through at some point. Most of the Florida peninsula is prone to stormy weather during certain times of the year. Making the investment in hurricane shutters and other home improvements will be helpful to protect your property and even your life during these storms. When the hurricane shutters are closed, they can protect your home from wind damage, including air-borne debris. The shutters keep the windows covered, protecting against shattered glass. By covering the windows, you can prevent structural damage and protect all of the items and people inside. Strong winds can break windows and doors, and this breach can lead to many problems with the structure of the house. In the situation where hurricane windows have breached a window or door, the pressure in the home increases, which eventually pushes the roof up and exposes the entire home to the storm. It has been said that broken windows and doors create a domino effect that leads to other serious problems. By installing shutters, you are creating a solid first line of defense to protect your property. These shutters can cover the windows completely, decreasing the likelihood that the home will be breached by the strong hurricane winds. In addition to storm protection, these shutters can also work as security protection. When the shutters are closed, they decrease the likelihood that unwanted intruders will be able to enter the home through the windows or doors. There is no need to worry about the security of your family. With a few home upgrades, you can protect the entry points and rest assured that your possessions and family are protected. Here at Armored Dade Windows & Shutters, we offer custom solutions for every customer. Our goal is to create a system that will be best for your family. We take pride in providing the protection that helps you avoid damage from high winds. When you order hurricane shutters, they will custom designed to fit your home with exactness. Accordion Shutters: This style of shutters is a cost-effective way to protect your windows. When accordion shutters are open, they are virtually unnoticeable. Plus, they are easy to use! You can open or close the shutters at any time. 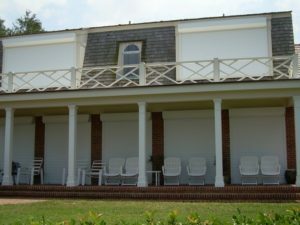 Bahama Shutters: There is no need to plan for storage space with the Bahama design because these shutters are permanently attached to your home. The shutters are built in one piece and attached at the top of the window. If you want to let in the sunlight, the shutters can be propped open. Roll Down Shutters: If you want both strength and beauty, you should consider the roll down design. These shutters offer maximum protection in a way that looks stylish. The roll-down shutters can be moved manually, or you can choose to install electric controls to open and close the shutters with the touch of a button. Storm Panels: The cheapest solution is to choose storm panels. These panels offer strong protection without the convenience features that are offered with some of the other shutter designs. When you are ready to learn more about the pros and cons of each of the shutter designs, the best thing that you can do is talk to our experienced team. We can evaluate your situation and your budget to make recommendations about the best designs for your home. Our goal is to provide a custom solution that will match your preferences. Now that you can see the benefits of installing hurricane shutters, it is easy to see why you should take action as soon as possible to install them on your home. When you are ready to get started, schedule a consultation with a storm shutter expert who can offer personalized advice to match your needs. Here at Armored Dade Windows & Shutters, we are always here to help. Come to our showroom at 8112 Cortez Rd W Bradenton, FL 34210. You are welcome to call our office to schedule a time for a free estimate: (941) 798-9010.